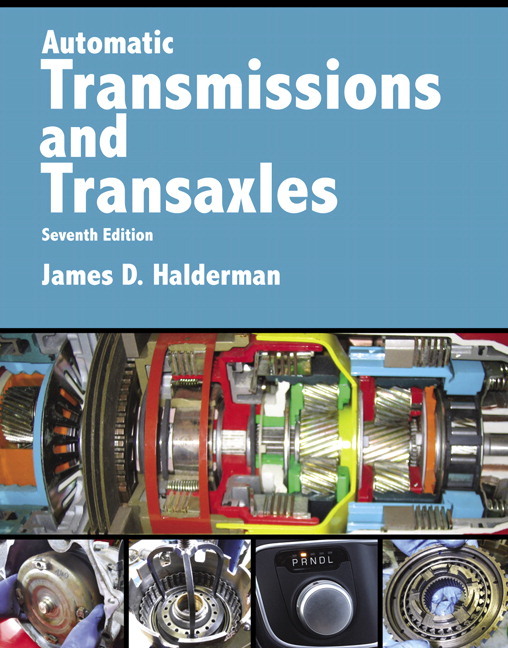 Automatic Transmissions and Transaxles, 7/e provides a complete, state-of-the-art source on the operating principles as well as the service and repair procedures for modern automatic transmission transaxles, complete with the practical skills that students must master to be successful in the industry. The text focuses on the generic theory underlying the operation, diagnosis, and repair of the units and subassemblies found in the many makes and types of vehicles students are likely to encounter in their work. Formatted to appeal to today's technical trade students, Halderman uses helpful tips and visuals to bring concepts to life and guide students through the procedures. To keep your course current, all of the content is correlated to the latest NATEF tasks and ASE areas, and important changes to this edition include expanded material on transmission/transaxle hydraulic systems, now split into to three separate chapters for easier learning; over 50 new full-color line drawings and photos to bring the content alive; new case studies added to selected chapters; the addition of global electrical symbols to Chapter 8; and a new format for describing systems and components that makes learning complex systems easier. All terms used in this edition adhere to the SAE J1930 standard. Automatic Transmission Fluid, Filters, and Coolers (Chapter 2). 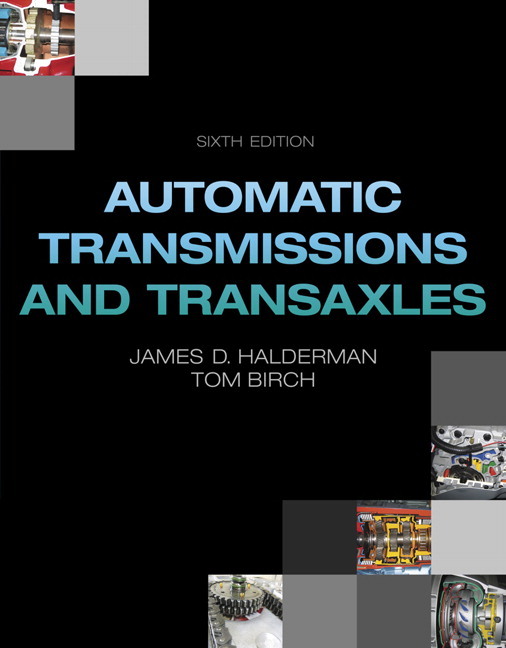 Automatic Transmission/Transaxle Hydraulic System (Chapter 3). Hydraulic Control Valves and Solenoids (Chapter 4). NEW! Related to new case studies that have been added to selected chapters that include the “three Cs” (Concern, Cause, and Correction). NEW! Global electrical symbols have been added to Chapter 8. Get up and running quickly using the Instructor’s Manual. The Instructor’s Manual contains Sample Syllabus, NATEF Task List, Chapter Outline, and Answers to chapter questions. Use the additional teaching notes keyed to the textbook page numbers to help you prepare to discuss, review, preview, and reinforce important content. The most up-to-date standards content. All content in the book has been updated and correlated to the latest NATEF tasks and ASE areas. Over 50 new full-color line drawings and photos make the subject come alive. New case studies have been added to selected chapters that include the “three Cs” (Concern, Cause, and Correction). Global electrical symbols have been added to Chapter 8.